The island of Palawan stretches from Mindoro to Borneo in the southwest. It lies between the South China Sea in the northwest and the Sulu Sea in the southeast. Considered to be the last ecological frontier of the Philippines, the province boasts many splendid beaches and resorts. Palawan is also home to Tubbataha Reef National Marine Park and Puerto Prinsesa Subterranean River. There is so much to see and do; don’t be afraid to go off the beaten path. 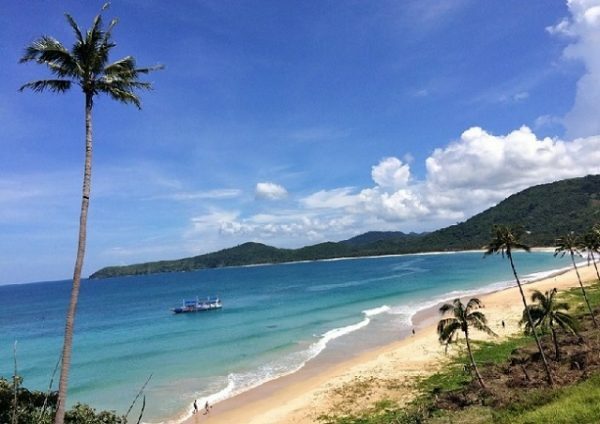 Here are a few attractions found in Palawan. Located off the coast of Palawan in the Sulu Sea, is the Tubbataha Reef National Marine Park. Because of the travel time involved, divers who want to visit will have to spend a day on the water. The trip is worth it; in and around the reef you will see a variety of wildlife in their natural habitat. There are thriving populations of colorful fish, manta rays, sea turtles and various species of sharks. Located forty-five minutes from Puerto Princesa, Honda bay offers tours that will make your island hoping dreams come true. 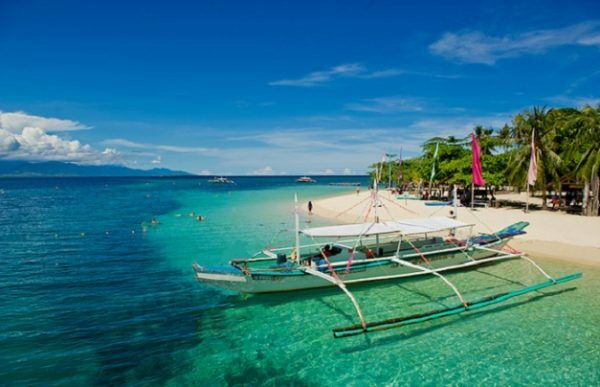 Popular Islands in the area include: Cowrie, Luli, Starfish, Pandan and Verde Island. All of the islands have beautiful white sand beaches and turquoise waters. For the beach-enthusiast and snorkeler, Honda bay is for you. While in the Puerto Princesa area, one must do attraction is a visit to the Underground river. At five miles long this is called the ‘Seventh new wonder of the world.’ When you embark on your tour you will arrive at a stone cliff entrance, half covered by a saltwater, with the river feeding directly to the ocean. There are boats and guides that will take you though the caves. While you travel you will learn about the cave formations from your guide as you explore the underground river. Located on a 14 square mile island off the coast of Palawan is the Calauit Safari Park. This game reserve was established in 1977. The park is home to a number of species from Africa as well as birds and animals native to the Philippines. Because the park’s climate that is similar to Kenya, visitors have the opportunity to see the park’s crocodiles, giraffes, monkeys, zebras and other wildlife up-close. Diving is a big attraction in Palawan and one popular place is El Nido; It is here you will find more than 50 species of coral and various species of whales, sea cows, manta rays and dolphins. Some popular beaches there include: Secret Lagoon Beach, Seven Commando, Hidden Beach and Helicopter Island. Coron Island is another popular place for divers; because of the sunken Japaneses warships, this is one of the best dive sites in the world. In addition to the great diving, Coron is known for its great beaches too. After a day of adventure and tours, consider a visit to Baker’s Hill. They have a variety of food and drinks for many different taste; of course they have seafood dishes with lobster, fish, crab and shrimp too. If you visit during the lunch hour, take advantage of their seafood lunch buffet. The area around Baker Hill is very scenic, that is perfect for lunch or a dinner date. North of Puerto Princessa near the Karst mountains is Ugong Rock. This is a natural limestone formation that is beautiful to the eyes and makes a funny noise when tapped. One company that specializes in activities there is Ugong Rock Adventures. This tour company has made it fun for travelers to visit this formation. Imagine crawling in and out of the caves; how about riding the zip-line through the jungle at high speeds or hiking through the jungle on the trails that lead to some breath-taking views. This is a great attraction for the adventure seeker.